Tosca has been teaching in the IB international community in Asia and Europe since 2000. As a doctoral student, Tosca’s published research focuses on innovation in education. She is a Amazon best seller author, website creator and app developer. She acts as a consultant for digital technology in international schools and is currently a digital learning coach at NIST International School. Tosca co-founded ED-ucation Publishing, founded TEDxYouth@BIS, and TEDxYouth@NIST in order to create opportunities for students and teachers to become change agents. Glenn has sent the past 13 years teaching internationally in both South Korea and Thailand. During time he has worked widely with the IBO as both a PYP Workshop leader and IB School Consultant. Over the past three years Glenn has been exploring the concept of Making in the Classroom, with a particular interest in developing the maker mindset amongst both students and teachers, with the goal of integrating Making to mainstream classroom learning. 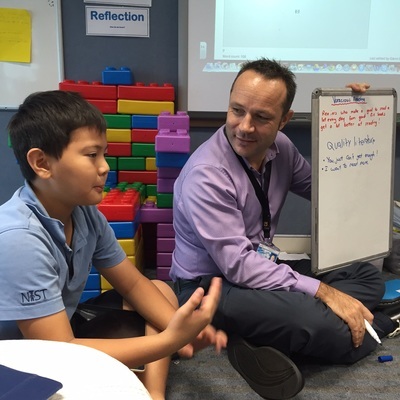 Glenn has presented Making in the Classroom workshops at Deep Learners Conferences Bangkok and is currently working his doctoral Studies in Educational Leadership (specialization technology) through the University of Kentucky. Glenn would love to connect with you via Twitter.